Red pants, green pants. Yellow submarine pants! You can never have too many pants… and we want some more! 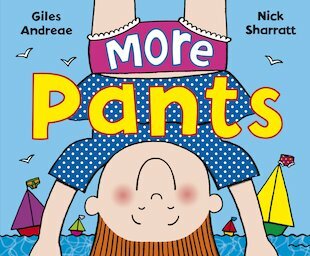 Fresh from the dynamite duo of Giles Andreae and Nick Sharratt, this deliciously comical rhyming book is stuffed with vibrant scenes. 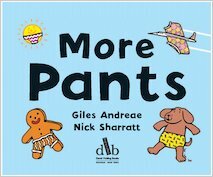 Open up to chuckle at a hippo in pants, a limousine in pants and a dinosaur in pants – plus heaps of other silly scenes to make you roar with glee! 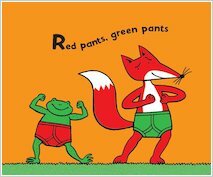 It’s pant-tastic fun! this is a book about even more pants. This is just a really funny book and I like Nick Sharratt pictures.